The death toll from landslides and floods in the eastern Philippines has climbed to 122 as emergency teams reach isolated areas and recover more bodies, officials said Thursday. 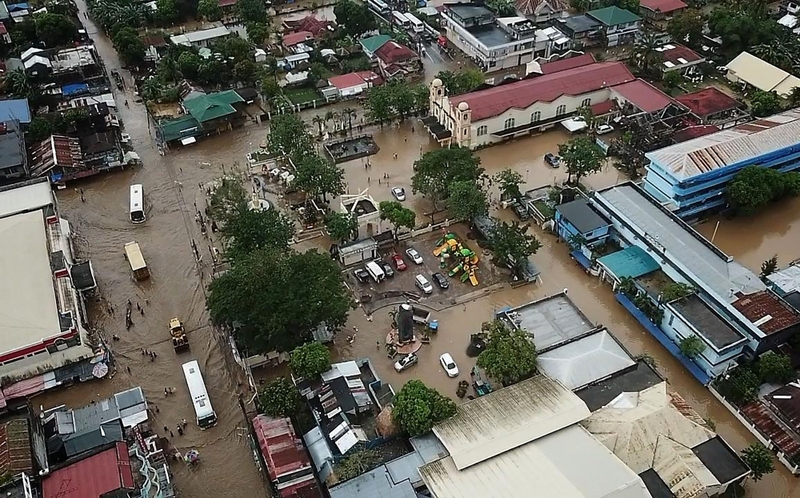 According to the Deutsche Presse-Agentur, DPA, quoted civil defence and disaster risk reduction officials as saying that nearly 30 people were still reported missing in the affected areas in the eastern regions of Bicol and Eastern Visayas. The tropical depression was the last and deadliest cyclone to hit the Philippines in 2018. Previously, Typhoon Mangkhut was considered the deadliest, killing more than 80 people in September. Nearly 25,000 people were displaced by the landslides and floods, the national disaster risk reduction office said. "Each year the Philippines is hit by an average of 20 cyclones, causing floods, landslides and other accidents," added DPA. The death toll from landslides and devastating floods in the central Philippines triggered by a tropical depression climbed to 85, officials said on Wednesday, and 20 people were missing as rescuers slowly reached cut-off communities, Reuters has reported. "The casualties, including young children, were mostly killed when their homes collapsed in landslides after days of heavy rain in several provinces in the central Philippines," said Ricardo Jalad, Executive Director of the National Disaster Agency. Bicol, with a population of 5.8 million, was the hardest hit, with 68 killed in intense rains and landslides. Damage to agriculture in Bicol, which produces rice and corn, was estimated at 342 million pesos (US$6.5 million). About 20 tropical cyclones hit the Philippines every year, with destroyed crops and infrastructure taking a toll on human lives and weighing down one of the fastest growing economies in Asia, Reuters concluded. The death toll from a storm that struck the Philippines shortly after Christmas rose to 68 with the number of fatalities expected to climb even higher, civil defence officials said Monday. "I am afraid this (death toll) will still go up because there are a lot of areas we still have to clear," said Claudio Yucot, Bicol civil defence director. The weather disturbance locally named "Usman" hit the country on Saturday. While it did not have powerful winds it brought heavy rains that caused floods and loosened the soil, triggering landslides in some areas. Many people failed to take necessary precautions because Usman was not strong enough to be rated as a typhoon under the government's storm alert system, Yucot said. 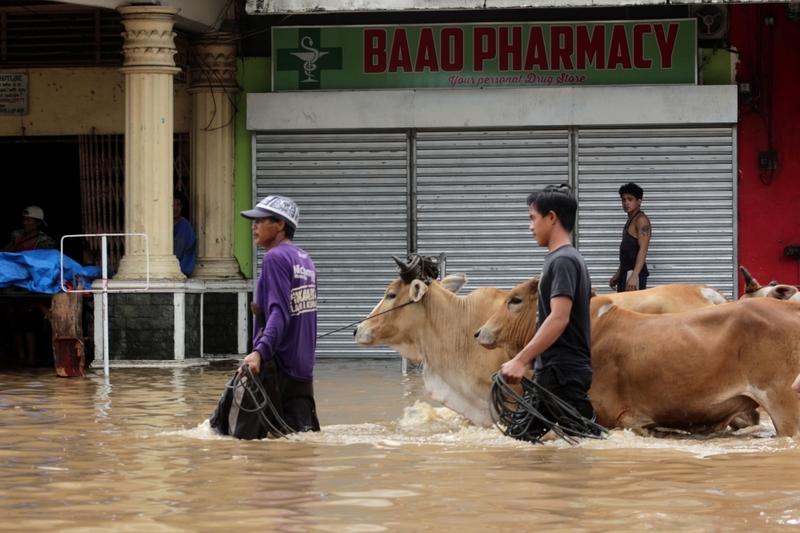 Twenty-six people have been killed in landslides and floods caused by a tropical depression that brought heavy rains over the eastern Philippines, police and emergency officials said Sunday. 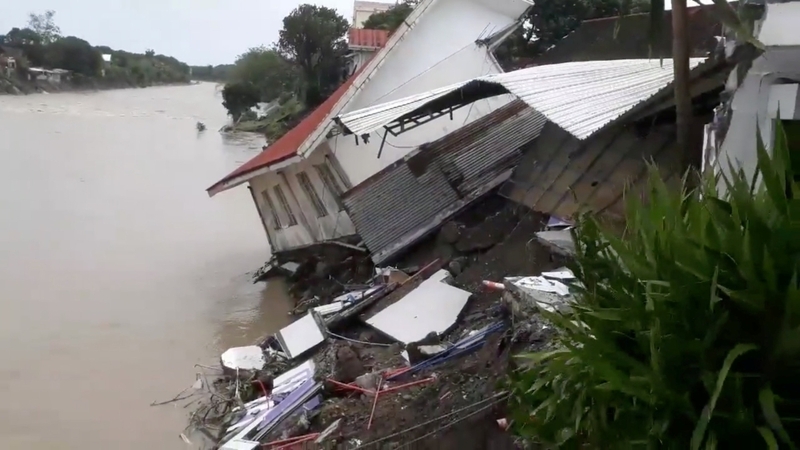 According to the Deutsche Presse-Agentur, DPA, more than 22,000 people were also displaced by the landslides and floods in six provinces that bore the brunt of the rains. Rescue teams were still searching for several missing in the affected areas, emergency officials said. 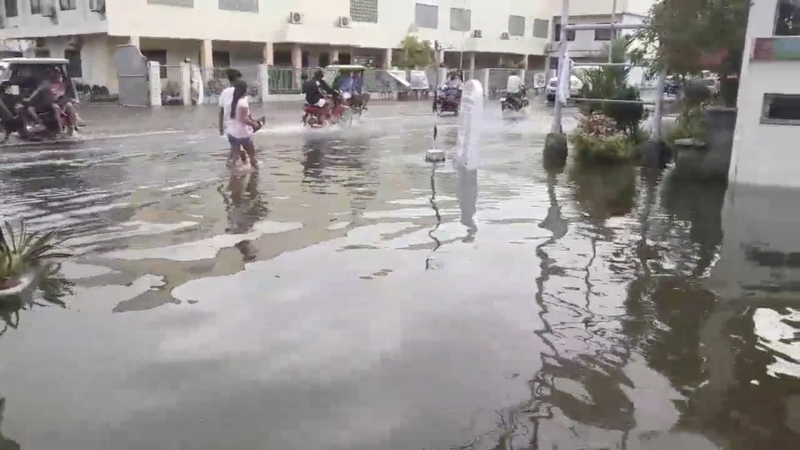 The weather bureau said the tropical depression, locally named Usman, has weakened into a low pressure area after making landfall, but warned that eastern and central provinces would continue to experience rains. "A cold front and the north-east monsoon were also bringing bad weather over the capital and other parts of the country, which could dampen usually rowdy New Year's Eve celebrations,"added DPA. Each year the Philippines is hit by an average of 20 cyclones causing floods, landslides and other accidents. A 6.9-magnitude earthquake struck off the Philippine island of Mindanao on Saturday triggering a brief tsunami warning. The quake struck southeast of Davao City at a depth of 59 kilometres (35 miles), the US Geological Survey said, a week after a volcano-triggered tsunami killed more than 400 people in neighbouring Indonesia. The Pacific Tsunami Warning Center warned "hazardous tsunami waves from this earthquake are possible" along the coasts of Indonesia and the Philippines. However, waves were forecast to be less than 30 cm (12 inches) above tide level, it said, while Philippine monitors warned that "minor sea level disturbances" were to be expected. The Philippine government's seismology institute initially advised people to "stay away from the beach and not to go to the coast fronting the Philippine Sea," for about two hours after the quake.